We are always looking for ways to add value to our products and make them more cost-effective so that our premium, natural meats are accessible to as many families as possible in the community. With our custom meats options we hope to provide even more reasons for you to try our high-nutrient, locally raised products. We will deliver your animal to the processor, send you an invoice for fees, and bring home your meat for pickup at the farm. Approximately 40 pounds of meat to take home. $7.00/lb hanging weight to Mountain Run Farm plus $0.50/lb. processing fees and $2.50 slaughter charge to Greenvalley Meats. **Please Note: You pay MRF for the animal only. You will pay the butcher separately for processing fees. Greenvalley Meats charges $0.55/lb including cut, vacuum seal and label. You may choose a paper wrap instead for $0.50/lb. We estimate a whole cow carcass weight to be 500lbs. Individual animals vary, this is only an estimate! We will deliver your animal to the processor and send you an invoice for fees. 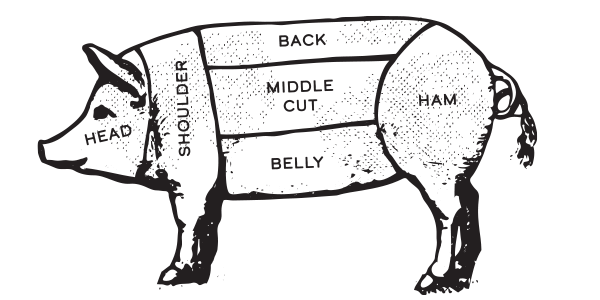 You are responsible for customizing your cutting instructions with the butcher: Joe Albert at Greenvalley Meats 434-299-5529. You are responsible for pickup from Greenvalley Meats 2492 West Perch Rd. Monroe, VA.
*Please Note: you pay MRF for the animal only. You will pay the butcher separately for processing fees. Greenvalley Meats charges $0.55/lb including cut, vacuum seal and label. You may choose a paper wrap instead for $0.50/lb. We estimate a whole hog carcass weight to be 225lbs. Individual animals vary, this is only an estimate! We will deliver your animal to the processor and send you an invoice for fees. 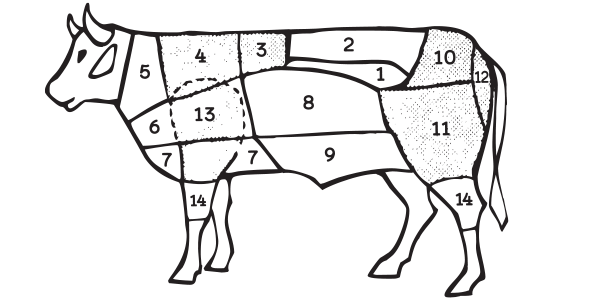 You are responsible for customizing your cutting instructions with the butcher: Joe Albert at Greenvalley Meats 434-299-5529. You are responsible for pickup from Greenvalley Meats 2492 West Perch Rd. Monroe, VA.